14th February is synonymous around the world for celebrating love and romance. A day that stands out in the calendar, to show the person that you love most just how much they mean to you. Whilst many may worry that Valentine’s Day is simply a commercial ploy, it is, in fact, an ancient celebration, dating back centuries. Originating from the Roman festival Lupercalia, which celebrated the coming of Spring and fertility, the holiday may well have taken its name from a Christian martyr. Having disregarded Emperor Claudius II’s rule to prohibit marriage, Bishop Valentine continued to marry couples in secret until he was caught and executed on 14th February, 270 AD. A true romantic if ever we knew of one. We as Brits just love to celebrate love. In 2017, the UK spent £620 million on Valentine’s Day gifts*. But while giving cards and presents is the most common way to express your feelings, the cost and originality of such presents can be a worry. This Valentine’s, why not do things a little differently? To help get you and your loved one in the mood, take a look at our Valentine’s gift guide, compiled by Team Cupid at Robert Dyas. Perfect for those on a budget or if you want to inject some originality into saying those three little words. The secret to a man (and woman’s) heart must surely start in the kitchen? Who can resist a romantic meal, especially if created as a duo. Bring your romantic recipes to life with this charming Premier Housewares Amour Heart Shape Stoneware Oven Dish (Was £36.49 now £24.99) available in red or black. Top off your love-inspired meals with the Amour Set of 3 Heart Shape Stoneware Dishes (Was £22.99 now £17.99), perfect for sharing. 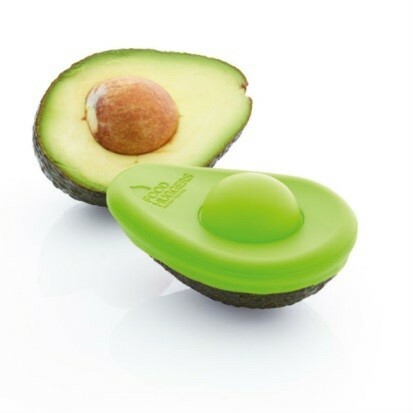 Give in to your Valentine’s green addiction with the Kitchen Craft Silicone Avocado Huggers (£5.99). In a large and small size for whatever shape the avocado may be, your lover’s precious fruit can remain fresh and avoid any unsightly browning with these dishwasher safe cases. Afterall, who doesn’t love a hug? 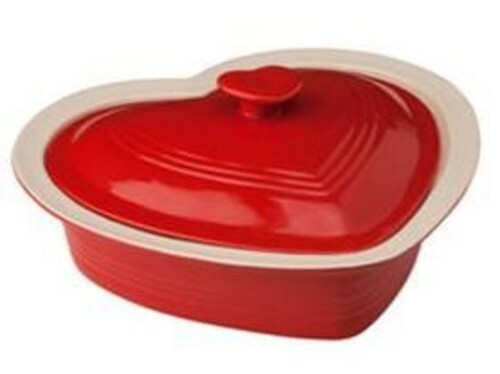 Keep your Valentine’s Day bakes as fresh as the day they were made with this Set of Three Tala Retro Cake Tins (12.99). Your sweet confections will be long lasting just like your love. Want to impress with a pièce de résistance? Whether savoury or sweet is your special one’s thing, this stunning Artesa Wood and Glass Serving Cloche (£34.99) will ensure an entrance is made, whatever you choose to serve up after supper. Since home is your happy place, why not make it the centre of attention this Valentine’s Day? Being able to enjoy presents together is both a romantic and thoughtful way to treat your loved one so invest in some homewares that will go the distance. Want to set the mood? Give the gift of music with this Sony Light Portable Bluetooth Speaker (Was £34.99 now £29.99). With up to six hours of play time, this is the perfect accompaniment to whatever you have planned for February 14th. Been meaning to redecorate the spare room but never gotten around to doing it? Take on the project together with this smart Harris Platinum 5-Piece Paintbrush Set (Was £9.99 now £4.99). Many hands make light work. Baby, it’s cold outside. Keep cosy with your favourite person with this gorgeous Robert Dyas Teddy Fleece Throw in Silver (Was £19.99 now £9.99). Ideal for snuggling on the sofa to watch his or her favourite film and a beautiful addition to your home or bedroom. Love knows no boundaries. Don’t limit your gifts to those that can only be enjoyed inside – set your affections free to run wild in the fresh air. For the true romantics out there, what better way to represent your eternal love than planting a flower or evergreen, together? Present this elegant VegTrug Medium Barrel Tapered Planter Grey (£29.99) and all that will be left to decide is what type of flora to bed in. Its weather resistance means your symbolic planter can stay outside all year round, allowing you both to enjoy it throughout the seasons. 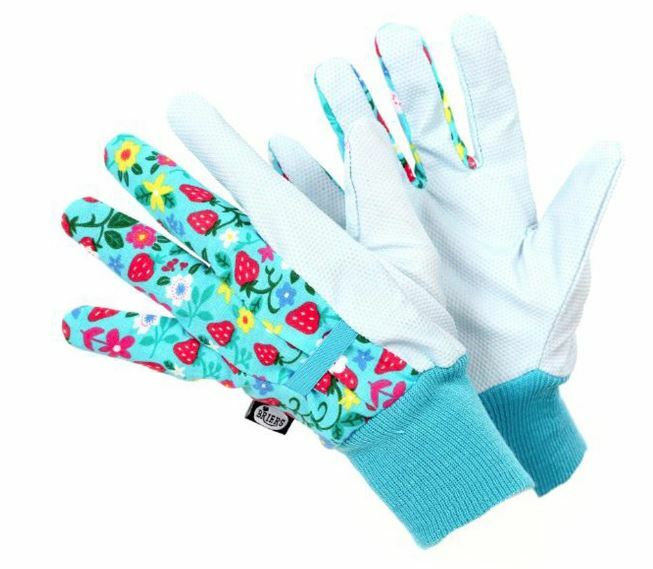 Keep those green fingers soft and dry, by giving your better half these gorgeous Briers Strawberry Water-Resistant Gardening Gloves (£4.99). With a colourful pattern and water-resistant finish, gardening hands will be housed in comfort and style whilst busy at work. This press release was distributed by ResponseSource Press Release Wire on behalf of Robert Dyas in the following categories: Children & Teenagers, Men's Interest, Entertainment & Arts, Leisure & Hobbies, Home & Garden, Women's Interest & Beauty, Education & Human Resources, Media & Marketing, Retail & Fashion, for more information visit https://pressreleasewire.responsesource.com/about.